Several weeks ago, I received an invite to participate in a epic collaboration of great friends and talent on Sunday, December 18th. I was more then willing and happy to have been invited. 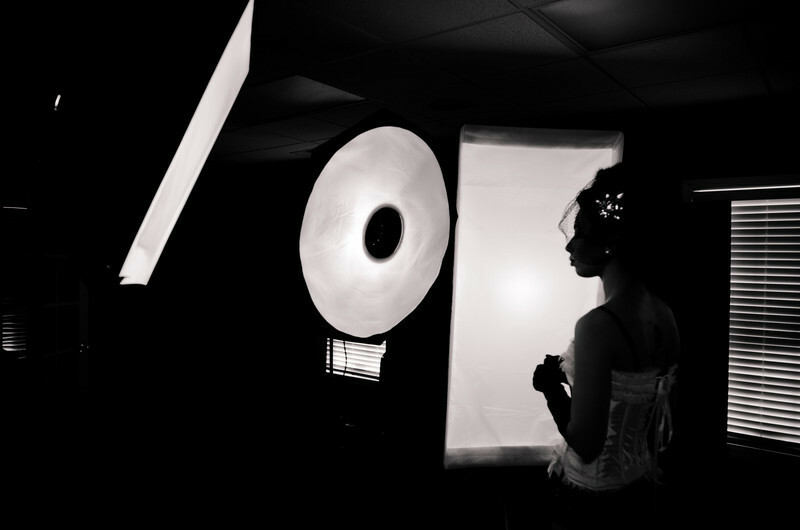 The shoot would take place at Shanna Simpson Photography, which is owned by…. Shanna Simpson(shannasimpson.com). The participants would include good friend and photog Joey Goldsmith(goldsmithphoto.com), MUA and model Scooter Ray, model Katharine Sullivan and model for the day/photog Shanna Simpson. I wanted to continue this trend of mine to include a story or concept with all my shots, so I came up with the idea to make our male model Scooter a rockstar and Katharine a fan with a massive infatuation with said rockstar. I’ve always wanted to get some shots with my Gibson Firebird, so I decided to bring it a long even though it didn’t end up being in the final shots. I also added a little twist, they we’re to be wrapped up in all sort of guitar and microphone cables. The film “The Matrix” came to mind. We had a ton of fun at this shoot. For me is was 100% experimental. I had never shot with studio lights a.k.a. Alien Bee’s and it was a whole new experience. It was tough for me to key in light, I had never worked with so much powerful light. I went into the studio with a plan and came out with something more awesome then I originally intended. Within 2 minutes of shooting, Scooter grabbed Katharine by the belt loops pulled her in close and the fireworks went off (see below). They we’re off the hook and it was very easy for me to capture passion. I went into this thinking I was going to get some cool “rocker” poses, but little did I know I would capture such heat and fervor. I started looking down at my camera and surprisingly the blown out highlights emitted from the gazillion back lights looked pretty awesome. It was similar to an explosion of light, almost like the entrace of a spaceship or sometime. Close-ups looked phenomenal. 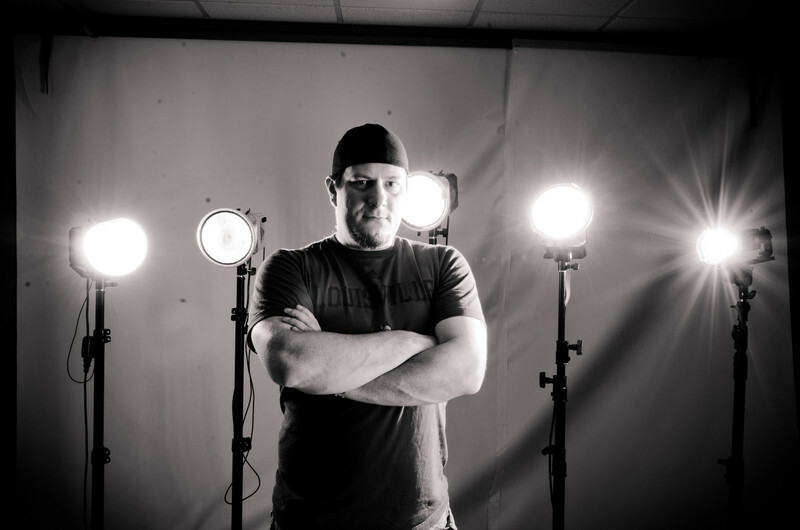 However, I had trouble nailing that sweet spot that I had come to excel in with speedlights. I was in a whole new world and felt small. But, I worked my way through it the best I knew how. When the pizza had been eaten and the wine was nearly gone, it time for me to pack up and get to work on post processing. I was a bit worried at first, what I had shot wasn't my normal dramatic lighting, it was the opposite, a gross amount of light, so I went with it! After some re-touching, punching colors, and popping in a few lens flares I was really happy with the results. Thank you Shanna, Joey, Scooter and Katharine for the fun and experience.